Knowing stroke risk factors is half the battle. 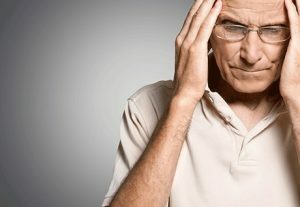 A stroke, sometimes called a “brain attack,” occurs when blood flow to an area in the brain is cut off. The brain cells, deprived of the oxygen and glucose needed to survive, die. If not caught early, permanent brain damage can result. A stroke can happen to anyone at any time, it doesn’t discriminate between gender, race, or age. The good news, if you know the stroke risk factors, up to 80 percent of them are preventable*. May is Stroke Awareness Month and it’s important to know the risk factors that can contribute to having stroke, and what we can do to reduce these risks. While many stroke risk factors like cigarette smoking, alcohol usage, and lack of exercise can be controlled and managed, there are four stroke H-risk factors we might not be able to avoid, but with regular doctor visits, proper diet, exercise, and medication management (if necessary) we can control too. Understanding the four stroke H-risk factors, and if they exist in your life, may help motivate you to take charge and control the ones you can change. HEREDITY If anyone in your family, parent, grandparent, sister or brother has had a stroke — especially before reaching age 65 — you may be at greater risk. Sometimes strokes are caused by genetic disorders like CADASIL, which can block blood flow in the brain. HEART DISEASE Individuals with coronary heart disease, angina, or who have had a heart attack due to atherosclerosis, have more than twice the risk of stroke than those who haven’t. HIGH BLOOD PRESSURE If you or someone in your family has a history of high blood pressure (or hypertension), know your numbers and keep them low. High blood pressure is the leading cause of stroke and the most significant controllable risk factor for stroke. HIGH CHOLESTEROL If you have high blood cholesterol, get it under control. People with high blood cholesterol have an increased risk for stroke. Large amounts of cholesterol in the blood can build up and cause blood clots, leading to a stroke. How can you reduce your risk of having a stroke? Daily exercise, stop smoking, reduce the amount of alcohol in your daily diet, control your diabetes, lower you blood pressure and cholesterol levels, and have regular checkups and proper treatments for the four stroke H-risk factors if you have them.